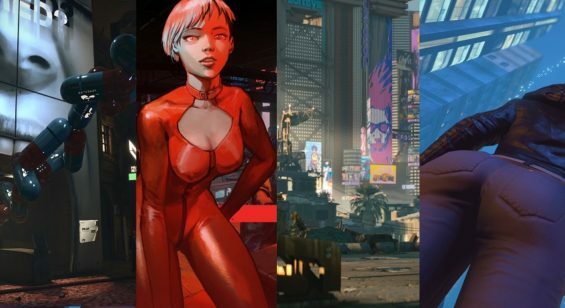 This is common knowledge, but prior to the release of a game or movie, and especially in the months and weeks leading up to its premier or launch, marketing teams start to really amp up campaigns to make their target demographics aware of the impending release of their product. 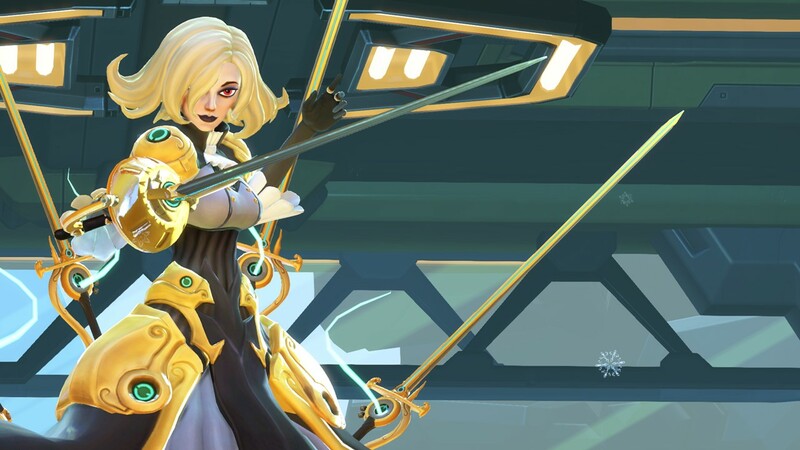 Despite practically living on the Internet and the best efforts of Gearbox’s marketing department, I actually managed to avoid any and all fanfare and promotional material related to Battleborn, going into the game with no expectations. 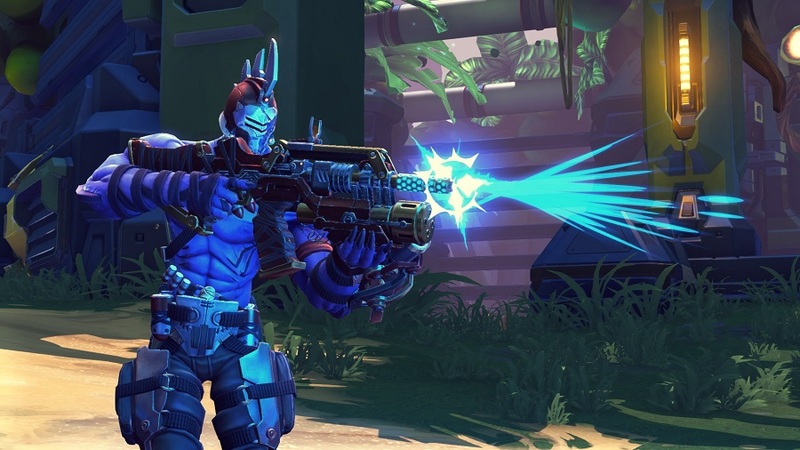 I knew it was a shooter – or at least had an educated assumption it was since we’re talking about Gearbox here – and I knew it had a lot of playable characters in it, but that was as much of an inkling as I had for what I was getting into. As I soon found out, Battleborn has about as much depth as I had forgone knowledge of its existence, but I’m getting ahead of myself and being perhaps too harsh for the sake of a witty, if cutting, introduction. 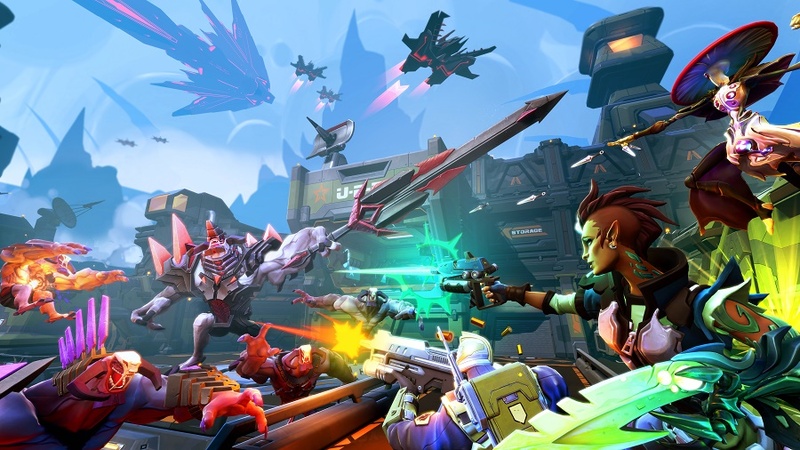 I don’t quite know how to precisely define Battleborn, other than it’s a first person thing where you and four other people play as “zany” characters with unique abilities through one of eight levels with a somewhat comprehensible story (if you squint hard enough, you’ll see it, I think – it’s over to the left…no, your other left). There are some cut scenes and there is some dialogue, but if you want to know what any of it means you’ll need to consult a wiki, because I sure can’t tell you after replaying the same eight levels for days now. I’m fairly confident the story revolves around an evil darkness overtaking the universe and the last races in the galaxy going to a single point of light to defend a dying star. …wait a minute. Who got Destiny in my Borderlands? Actually, comparing it to Borderlands in any capacity other than the cast (of which nearly every member seems to have attended the Claptrap School of Characters Who Need to Shut Up) isn’t quite accurate, but the Destiny comparison sure hits the mark. 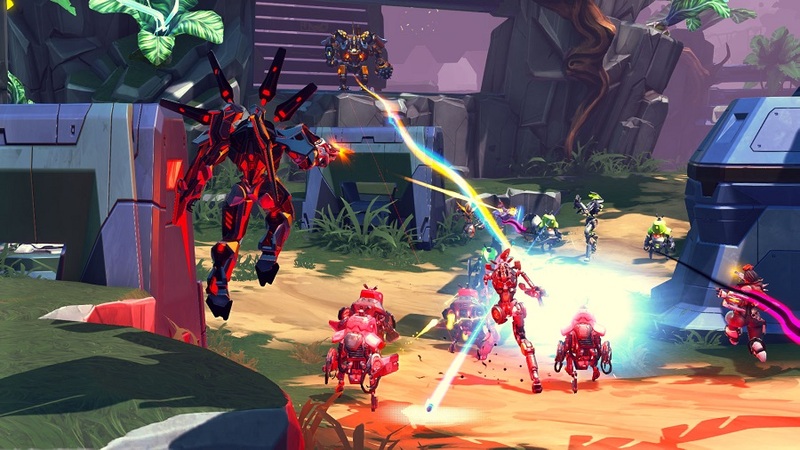 In fact, considering Battleborn’s repetitiveness, it almost made me wonder if Gearbox had hired the “defend this location from waves of enemies” design team from Destiny out from under Bungie’s nose. That isn’t to say that there isn’t a healthy amount of running-and-gunning through levels with a nice mix of enemies and mini-bosses, just that when I was on my fifth defense objective in a row on the same level, it stuck out like a very sore thumb to me. Scathing criticism aside, my snark shouldn’t be interpreted as a condemnation of Battleborn. Far from it, as a matter of fact, as the game has moments where it really shines and with friends or even the occasionally surprisingly competent online stranger it can be an absolute blast. The biggest objection that I kept having was that it seems to suffer from Resident Evil 6 syndrome, where it doesn’t really know what it wants to be. Does it want to be a first person League of Legends? Does it want to be Borderlands? Does it want to be an arena shooter? Does it want to be Left 4 Dead? It doesn’t really seem to know, and this identity crisis leaves a mess in its wake with lots of great parts from other games Frankenstein’d into a slapdash attempt at appealing to all of the people with all of the things. To go point by point, the game only has eight levels. With a competent team, each will take about 30-45 minutes to complete. 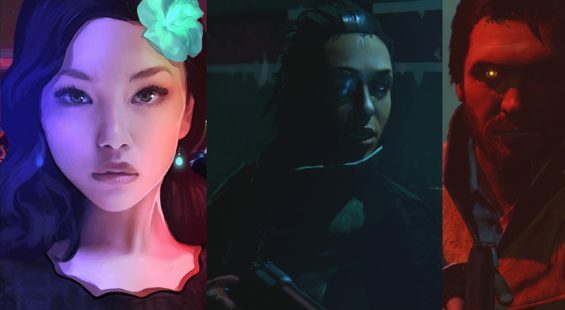 Unlike a game like Left 4 Dead, however, there’s no randomness to the levels to make each trip through unique. The enemies always pop up in the exact same places, with the same number of enemies, without any sort of supplies to change how you approach a given situation. 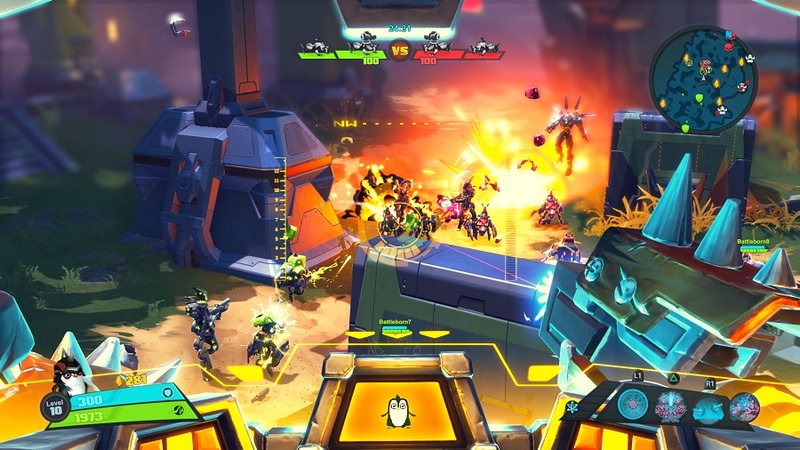 Battleborn also has a levelling system, although compared to something like Borderlands, the levelling system is paltry at best, and only temporary, starting over at 1 each time you play. The characters are listed as specific “classes,” but it seems like mere lip service to have the characters listed this way. 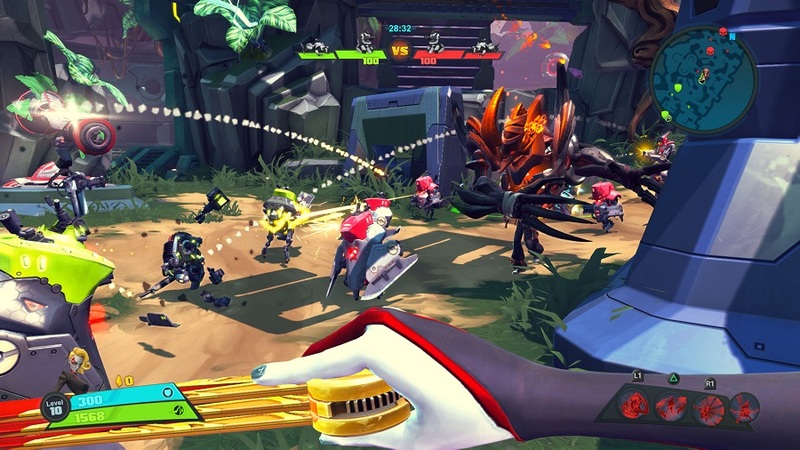 The main role of a tank, for example, is to draw enemy aggro, but there’s no specific abilities or methods a “tank” in Battleborn can use to draw any more attention than any other class, especially in a game where all five players are realistically going to be running around shooting or cutting the first thing in their crosshairs. Expecting nuanced play is a charming theory, but not one I’ve seen in practice, at least not in co-op. The versus game is a bit different, although it’s clear to me that the game was designed around this element first. The levelling system, with its fast-pace, 10 level cap, and left-or-right decision making on class abilities is suited for a competitive shooter, but feels otherwise insufficient. Similarly, the gear system, which only allows you to create sets of three pieces of gear that you have to wear for the entire level or match, works fine for a versus game, but feels bafflingly inadequate for the co-op experience. In both cases, competitive and cooperative gameplay alike, I was rather disappointed to find that it isn’t just the gear you’re locked into using for an entire session, it’s your character choice as well. As I played each available character for this review, I naturally played a sniper character at one point and a heavy gunner at another. The sniper character I played was during a co-op game and I learned about a quarter into the level that I was a positively awful sniper…and that I would have to continue to be an awful sniper for another three fourths of the level. There’s no option to change your gun, there’s no option to change your character. You are married to your decision until the conclusion of the stage. In one of my forays into online competition as a heavy gunner, I attempted to play the way I used to play a heavy in Team Fortress 2, which was a mistake. I didn’t realize that the ammunition the heavy in Battleborn uses doesn’t so much insist that its target dies as much as it politely requests that the target cease and desist its aggressive behavior. I understand the need for giving melee characters a chance, but when a swordsman can take hundreds of bullets to the face and just laugh out loud while they run up and gut you, there may be a balancing issue that needs to be addressed. Of course, a problem like that naturally will arise when you’re trying to balance characters for competitive and cooperative play at the same time, and since Battleborn wants to wear every hat at once and not even bother to change hats between game modes, these issues are inevitable. I don’t have much I can say about the music or the sound effects. The menu music certainly sounds epic, but the in-game music is drowned out by…everything. There are so many sound effects and so much shouting and so much stuff happening (gunfire, explosions, death rattles, special attacks) all at the same time that it’s just a cacophony. I could seldom notice any true ambience or nuance because if there is any it’s being drowned out by the chaos, which does make sense, to an extent. You’re in the midst of a battle, after all, so depending on the intention of the sound design I would say this is either a success or a failure. When there is the occasional quiet moment, however, the background music is rather pleasant and it makes me wish there was a default focus on it without it needing to be tweaked in your sound settings. What I can more definitively opine on, however, is the voice acting, which I would say is good, but hampered by the writing. I hope you like Borderlands, because every character from Borderlands is back in one form or another in Battleborn, except now most of them have had their dialogue replaced with Claptrap’s. If you liked Claptrap in Borderlands (I used to), you’ll be disappointed to find out that his lines don’t really work here. I guess it shouldn’t really be surprising since Borderlands wasn’t so much “written” as it was a playable visit to the TV Tropes Website with memes thrown in, and since archetypes and tropes were the entire cast of the three games in the series, it would follow that using that same principle in character creation for Battleborn would lead to nearly identical results. It does hurt whatever sort of originality Gearbox may have been trying to incorporate into the experience, though. Roland, Lilith, Mordecai, Sir Hammerlock, Athena, Axton, Maya, Tiny Tina…they may not be the exact same voice actors, but the characters are all there in the cast’s performance, the characters all just changed their clothes and their roles. At the risk of putting the dead horse I’m beating into the ground with this next paragraph, the game also looks remarkably similar to Borderlands. It may not have the same cel-shaded rendering that Borderlands has, but the character designs are exactly the same, the weaponry looks the same, the enemies look the same…it makes me wonder why exactly Gearbox didn’t just slap the Borderlands name on the game and use the ending to Borderlands 2 as a justification for having a group of new “Vault hunters” exploring planets in a more fast-paced game with the story staying quietly in the background. Again, I feel the need to emphasize that this isn’t a negative, but just something I have to wonder as I see all of the ways in which this game is so similar to its developer’s previous release. It’s the same sort of head scratching I did when Bungie stopped making Halo games to go make Destiny when from a distance a parent shopping for a Christmas gift for little Johnny wouldn’t be able to tell you the difference between the two properties. 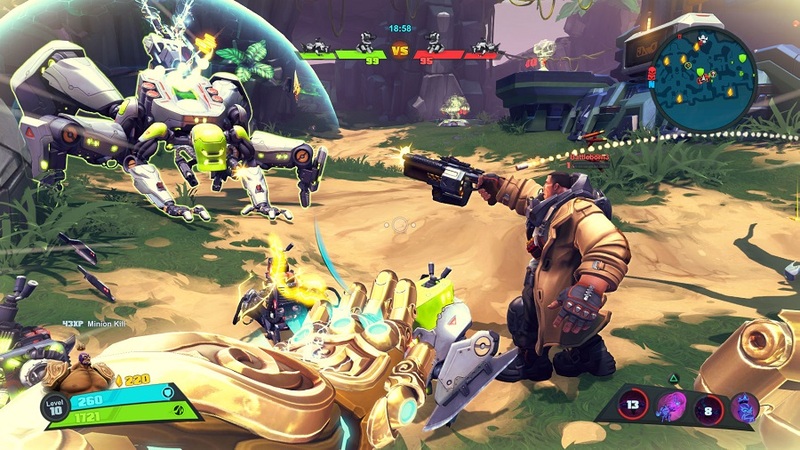 As I close this review, the biggest hit that Battleborn’s score takes is from a lack of replayability. Yes, there are 25 characters to play as, and yes, they truly do play uniquely and differently from one another, but with no true progression for any of them (ranking up offers one more option to choose from for some of your 10 levels) and only eight levels to play…Battleborn can be finished in one sitting and just doesn’t offer enough to keep you coming back. To make matters worse, the versus mode only has three game modes and only two maps per game mode, and the voting system in place for both the story and the multiplayer means you could end up playing the same map over again and again. Because there are only eight, two, two, and two from which you can choose, respective to the story and the versus… Well let’s just say that you’d better like playing The Algorithm because you’re going to be playing it a lot in the story, and hopefully you’ll like all six of the versus maps on offer. 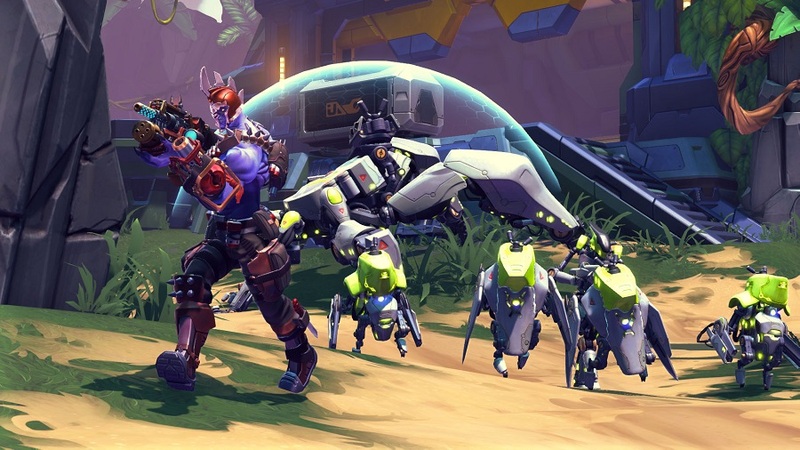 Don’t worry, though, because if that level count seems low, Battleborn is happy to remind you that you can buy its season pass and get all five DLC packs that were most likely cut from the game. I wouldn’t normally make such a bold declaration, but when a finished product has five hours of content at launch and only six multiplayer maps to play? I’m pretty confident in making that statement here. 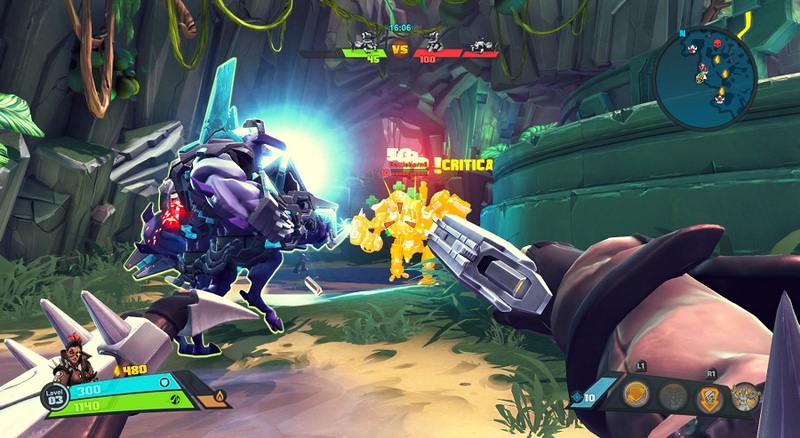 Battleborn isn’t a bad game, it’s just a disappointing one. It’s a triumphant success for the developer of Duke Nukem Forever and Aliens: Colonial Marines, but it’s an outright failure for the developer of Borderlands and Borderlands 2.